Students who have completed a 'Not In Our Community' Youth Summit on child exploitation. (L-r) Christina Leung, Katherine Sumrad, Charlie Sampher, Tyne Anderson, Matthew Bell and Breadon Thompson. Eight students from Years 9 and 10 attended The Youth Summit - an event run by the 'Not In Our Community' group. This local group was set up in conjunction with Humberside Police to keep young people in the area safe from child sexual exploitation and child criminal exploitation. 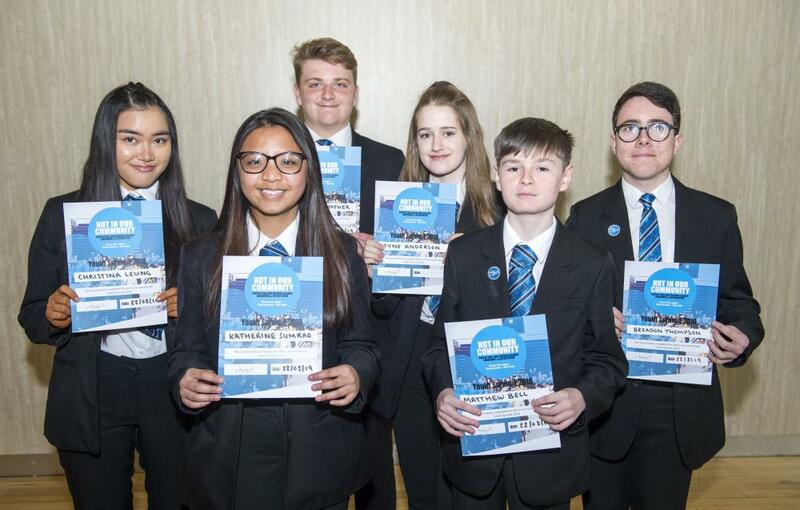 The Summit was an educational and practical event with the aim of helping students understand more about the dangers of grooming and the exploitation of young people so that they can inform their peers. • How grooming and sexual exploitation affects young people and how to prevent it. • The biggest dangers from the perspective of Humberside Police. • 'Phoebe’s Room.' An interactive activity in which students had to search a missing girl's bedroom to look for clues as to why she was missing. Students described the event as very informative.